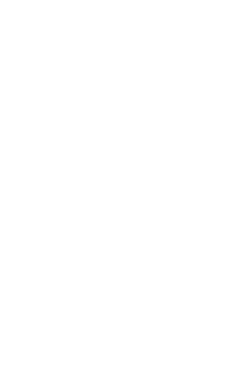 Harold Grieve, born on February 1, 1901, was a close friend of Robert Strong Woodward. I have been unable to find out how and when they first met but I know it was in the early years of RSW making oil paintings of New England scenery. 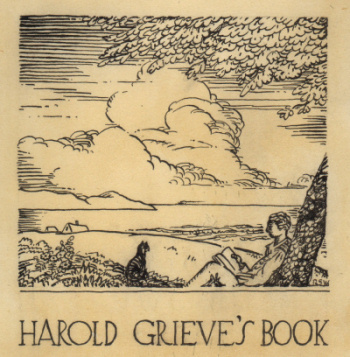 He made a bookplate for Harold while he was still working in his first studio, Redgate. Harold was a popular motion picture art director and interior decorator of homes in Hollywood, California, and chose several "Woodwards" to be centerpieces in the living rooms of famous movie stars of the day. He was a founding member of the Academy of Motion Picture Arts and Sciences. 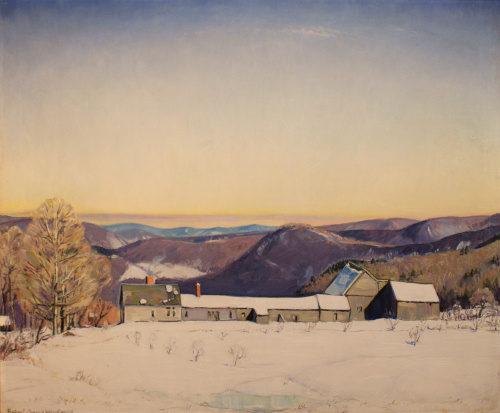 For example, Dooryard Elm , one of RSW's early oil paintings of the Halifax house was selected by Harold Grieve to hang in the living room of Gracie Allen and George Burns, The Golden Slope in the home of Beulah Bondi and From a Hill Pasture in the home of Jack Benny and Mary Livingston. There were also a number of other paintings placed by Mr. Grieve but the records have been lost. 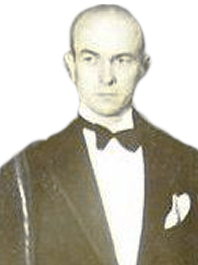 It is known that probably about a dozen Woodward oils were hung in homes in the Hollywood area. 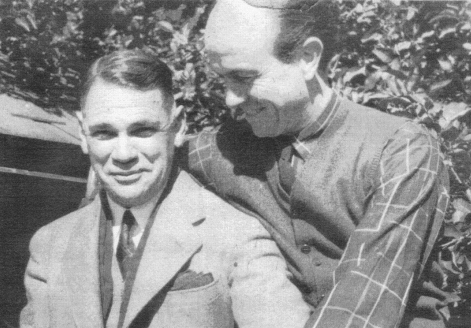 Harold and his wife, Jetta Goudal, born July 18, 1898, in Versailles, France, whom he married in 1930, visited the homes and studios of Robert Strong Woodward during the 1930s and 1940s. All became good friends and exchanged Christmas cards and letters. One visit, which I personally remember, was before Christmas when I drove them all for a ride in the open Packard. 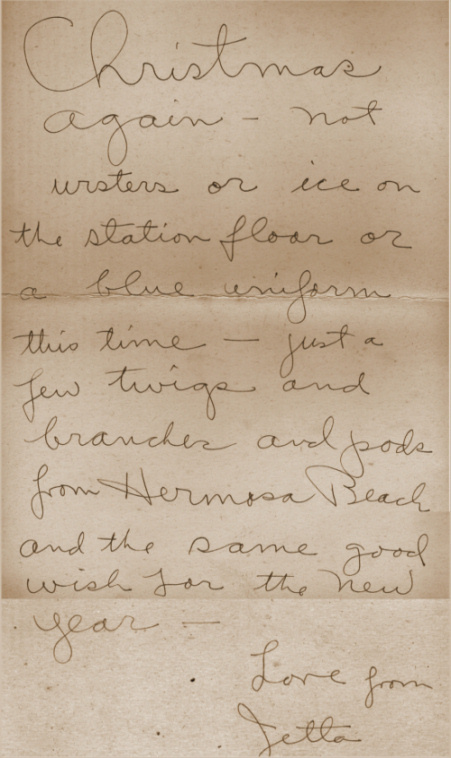 Harold frequently requested to stop so he could get out to pick a browned, gone-by flower or a tree twig still hanging onto its leaves, which, on returning to the Woodward home, he arranged into a winter bouquet. I and the rest of the Woodward household were instructed sternly by RSW not to touch a single flower or twig in the arrangement, which remained in the dining room for months later. We considered it "God's arrangement." I think it was on this visit that RSW presented Harold with Peace and Courage, a beautiful oil painting made on Avery Road here in Buckland which he took back to his Hollywood home. Many years later this painting came up for auction out in California. The Grieves had no children for bequeathment. It was purchased and brought home to Buckland where it is today. 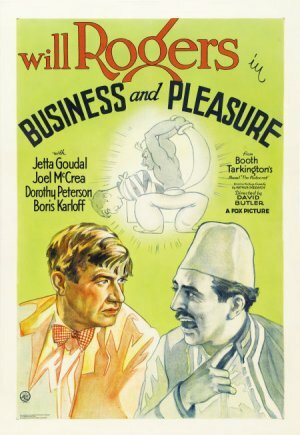 Robert Strong Woodward went to the movie "Business and Pleasure" at the Lawler Theater in Greenfield in February 1933 which featured Will Rogers and Jetta Goudal. 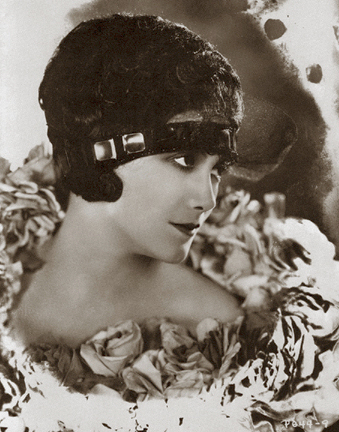 Jetta in her early life was a movie actress with many movies to her credit. 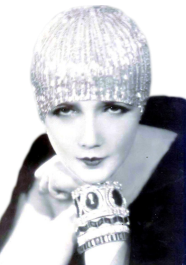 She successfully sued Cecil B. DeMille for breach of contract in 1932, but then later found many studios refused to employ her. 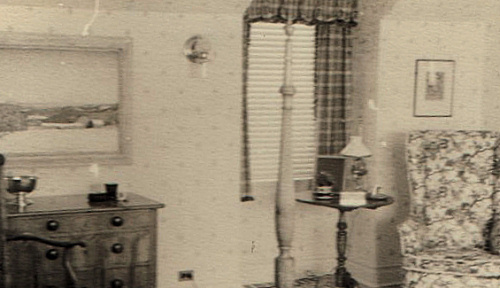 She married Harold Grieve in 1930, and two years later she went into the interior decorating business with him. 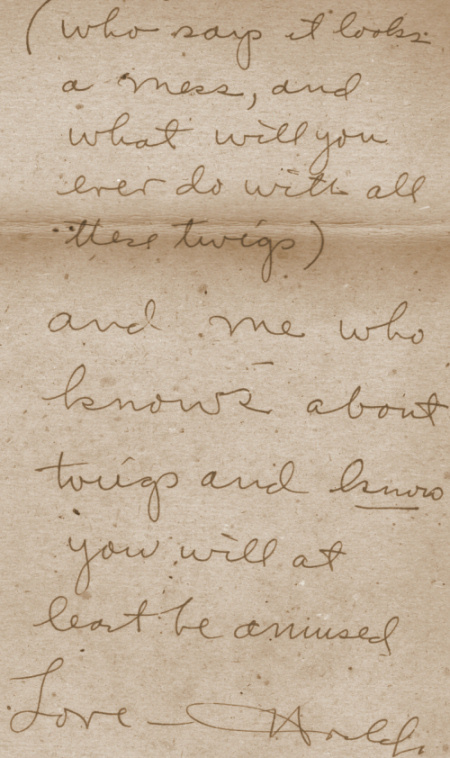 She was known to have emotional and physical problems and at least one of her letters to RSW was from a mental institution. Jetta died in 1985 in Los Angeles and Harold died there on November 3, 1993. 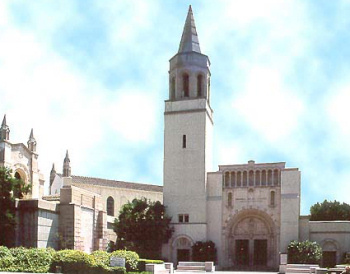 They are interred together in a private room at the Great Mausoleum Sanctuary of the Angels, at Forest Lawn Memorial Park Cemetery in Glendale, California.